We’ve been enjoying the Fourth of July weekend. On Saturday we went to the Truckee Tahoe AirFest & Family Festival. 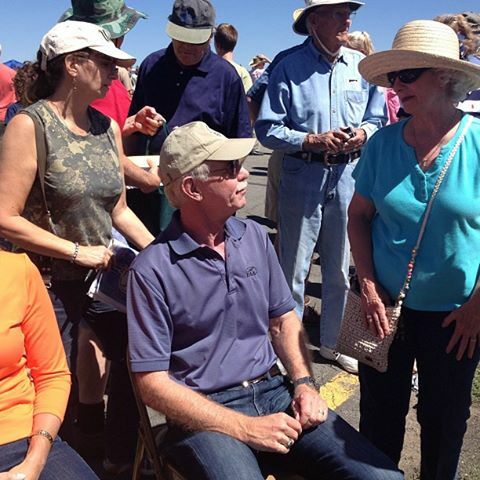 We like air shows, and I wanted to meet “Miracle on the Hudson” pilot Chesley “Sully” Sullenberger, who was a speaker. 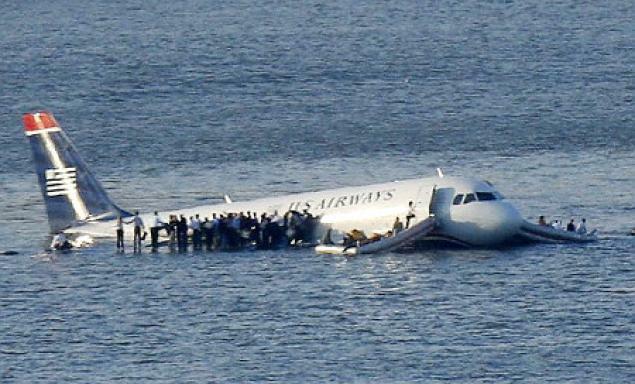 Sully helped save 155 lives by landing USAir Flight 1549 safely in the Hudson River after the jetliner hit a flock of geese on takeoff in January 2009. I covered the airline industry in the ’80s at The S.F. Chronicle, South Florida Sun-Sentinel and as a stringer for the New York Times, so meeting Sully (who lives in Truckee) had special meaning for me. (For the Times, I dictated stories about Miami-based Eastern Airlines into a machine, where they were transcribed, edited and published in New York. We had no smartphones or laptops back then). I helped cover some horrible airline crashes firsthand, including the crash of Air Florida Flight 30 in the Potomac River in Washington, D.C., in January 1982. Others included United Airlines Flight 232, which crash-landed in Sioux City, Iowa, in 1989 after suffering failure of its tail-mounted engine. I met Sully on the same day that an Asiana Airlines crashed at San Francisco International airport, killing 2 people and seriously injured 49. We fly so regularly we take it for granted, and commercial jet travel is safer than driving. But risks abound, and the Fourth of July is a good time to honor our flying heroes, including Sullenberger. In reality, the birds couldn’t have been avoided, and Skiles and the rest of the flight crew played key roles in landing and safely evacuating the plane, as Sully observed.